Does Your Dog Hate Having His Teeth Brushed? 7 Hassle-free Ways To At-home Dental Care! Doggie dentures just aren’t an option for our toothy pooches, which means once their teeth are gone, their gone for good! So, it’s pretty crucial to do everything in your power to help Fido keep his chompers healthy. Clean teeth are healthy teeth and although your friendly veterinary dentist can get those pearly whites sparkling in no time, it takes more than just a once a year cleaning to achieve great dental hygiene. Besides, doggie dentals can be expensive and require your pooch to be placed under anesthesia, so you really want to try to keep your dog’s teeth clean at home. Brushing your dog’s teeth daily is the best dental care practice you can do at-home, but most pups run and hide at the sight of the toothbrush. Luckily for you, there is more than one way you can keep your dog’s teeth squeaky clean that he might actually enjoy. Here are 7 hassle free ways you can clean your pooch’s teeth at home. 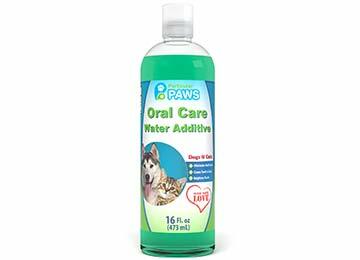 If your dog doesn’t mind a little water change, an oral care water additive can be a good option. 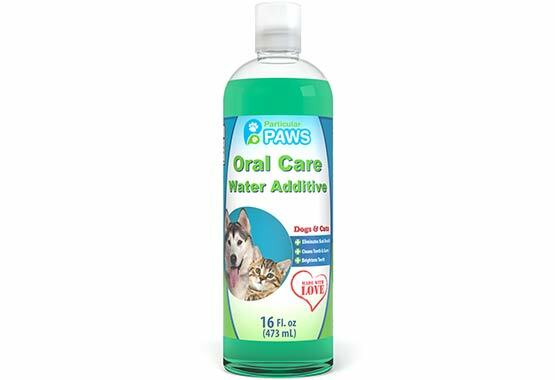 Most dental water additives kill the bacteria inside your dog’s mouth, preventing plaque and tarter from building up on the teeth. 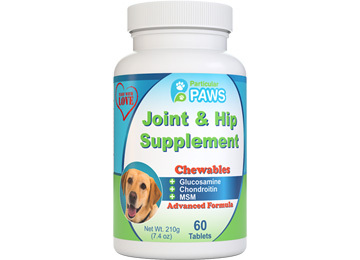 Don’t be fooled by the promises of healthier teeth stated on bags of commercial dog foods. Although dry kibble is believed to break away tarter buildup on your dog’s teeth, it’s not really logical to rely on food to clean your dog’s teeth. Just like in human health, a raw diet filled with fresh ingredients does wonders on your dog’s health, even his dental health. So why not knock out two birds with one stone and feed a natural diet for better body health, plus oral health. Chewing has been scientifically proven to improve dental health, as the act can remove food debris and tarter buildup from the gum line. 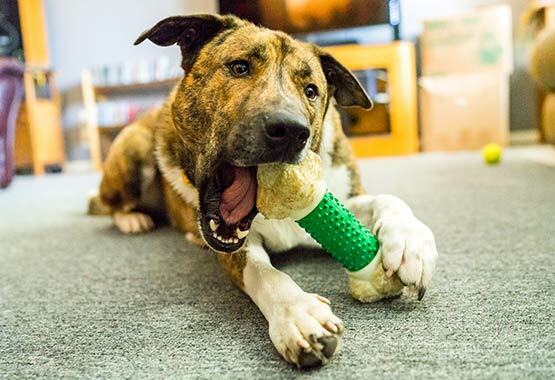 There are tons of chew toys on the market, but not all chew toys are equal. Make sure the chew toy you select is made of safe materials, free from chemicals and does not possess any choking hazards. Stay away from plush toys with small parts or chew toys with squeakers inside, to avoid choking. 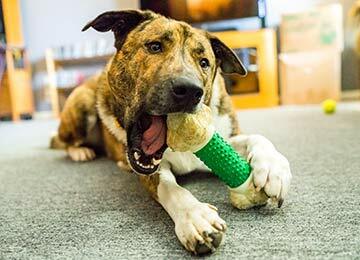 Large bones such as cattle or swine femurs, are the perfect chew toy for your dog. Not only is bone chewing a great way to clean the teeth, they are also a fantastic source of minerals and other nutrients that help to strengthen teeth in the process. A win-win! 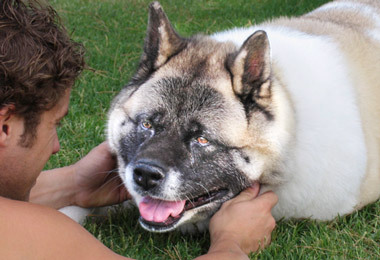 Veterinarians always recommend large bones for dogs to avoid choking, so stay away from any type of poultry bone. Most large bones are easily accessible and can be found at your grocer or local butcher shop. If your pup doesn’t mind having your hand in his mount, dental wipes may be a great, secondary option. The wiping motion along the gum line allows you to remove tarter and plaque that cause bad breath. Dental sticks for dogs are a great option when you want to give Fido something that last longer than a dental chew, yet less messy than a bone. Most dental sticks have a natural, abrasive texture that removes tarter build up as your dog chews. Not only do these sticks help keep the teeth clean, but they also keep you pup occupied for some time. Just make sure the dental sticks you select are low-fat and low-calories to keep your pooch looking his best! Giving your dog a prebiotic might seem a little off course to dental care, but it may surprise you to know that your dog’s digestion can greatly affect his dental health. Upset stomach and digestion issue creates a great deal of stomach acid to come up through the esophagus, kind of like heart burn. The stomach acid causescorrosion on the teeth as the acids reach the mouth, making the teeth highly prone to rooting and bad breath. 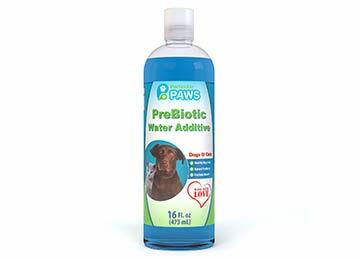 Giving your dog a prebiotic water additive soothes the stomach, preventing acids from reaching the mouth that would break down the teeth. The Particular Paws unique line of canine dental care products are specifically formulated to aid in the prevention of dental problems like bad breath, tarter and plaque buildup. 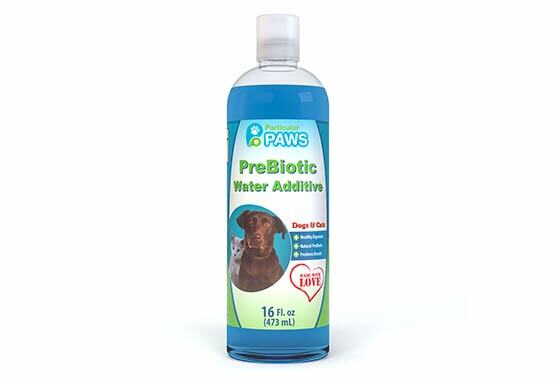 Proudly manufactured in the USA, beside veterinary professionals, the oral care and prebiotic water additives are 100% natural, making them safe for any dog. If cleaning your pup’s teeth at home always leads to you chasing Fido around the house with a tooth brush, why not try one of these effective alternatives to at-home, doggie dental care! Doggie dentures just aren’t an option for our toothy pooches, which means once their teeth are gone, their gone for good! 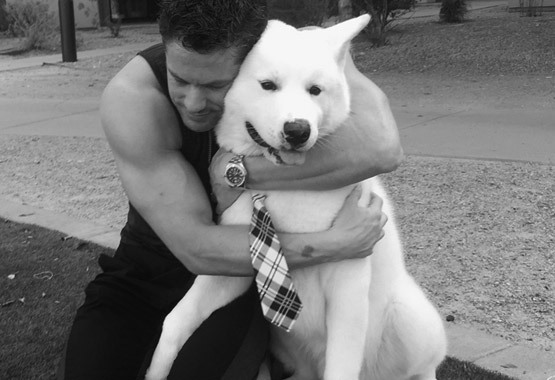 So, it’s pretty crucial to do everything in your power to help Fido keep his chompers healthy. Clean teeth are healthy teeth and although your friendly veterinary dentist can get those pearly whites sparkling in no time, it takes more than just a once a year cleaning to achieve great dental hygiene. Besides, doggie dentals can be expensive and require your pooch to be placed under anesthesia, so you really want to try to keep your dog’s teeth clean at home. Brushing your dog’s teeth daily is the best dental care practice you can do at-home, but most pups run and hide at the sight of the toothbrush. Luckily for you, there is more than one way you can keep your dog’s teeth squeaky clean that he might actually enjoy. Here are 7 hassle free ways you can clean your pooch’s teeth at home. If your pup doesn’t mind having your hand in his mount, dental wipes may be a great, secondary option. The wiping motion along the gum line allows you to remove tarter and plaque that cause bad breath. Dental sticks for dogs are a great option when you want to give Fido something that last longer than a dental chew, yet less messy than a bone. Most dental sticks have a natural, abrasive texture that removes tarter build up as your dog chews. Not only do these sticks help keep the teeth clean, but they also keep you pup occupied for some time. Just make sure the dental sticks you select are low-fat and low-calories to keep your pooch looking his best!